In the late sixties, a band called “Iron Butterfly” released an epic song that took up a whole side of a 33.3RPM Vinyl album. It’s the only LP in history that wore through from one side. This Idea of taking progressive jazz and applying it to “Rock” music seemed appealing to many highly educated Rock musicians that had just graduate from Julliard. Some critics of this new genre claimed it was rock musicians trying to give legitimacy to Rock and Roll. By the end of the next decade, a band called the Ramones where calling these bands Dinosaurs. Joey and Dee Dee’s claims were that Prog Rock wasn’t Rock. But there was a true following for progressive rock bands and they still exist today. In-A-Gadda-Da-Vida – As mentioned above, it is my assertion that this was the mother of Prog Rock. It was prog in its’ rawest form. But it came with a drum solo “Cool”. Hope – Hope was written and recorded by a cult band in Canada that went by the name of Klaatu. (one of Rock’s coolest names. See the Movie “The Day the Earth Stood Still”). Hope is about a galactic voyage which starts with “We’re off you know” which sound like an incredible Beatles cover. Somewhere in the middle is a movement called “around the Universe in 80 days and it ends with “So said the lighthouse keeper/Hope”. If you ever wanted to hear the Beatles doing heavy metal; Klaatu is worth a look and Hope is their best work. Dark Side of The Moon –Pink Floyd – Possibly or arguably the best on the list but it doesn’t meet the standards of true prog. I would call this Iconic album progressive blues. But I need not say more. Brain Salad Surgery – Emerson, Lake and Palmer. When the Beatles were ruling the British pop invasion of the early 60s they had 2 bands nipping at their heels. The Dave Clark five (Which holds the record for appearances on The Ed Sullivan Show) and of course Rock’s greatest Rock band (No I don’t know who gave them that moniker) The Rolling Stones. In the early 70s the owners of a lonely heart had ELP nipping at their heels. Brain Salad Surgery had was a solid legitimate and even commercial prog rock album. Just listen to Karn Evil 9 and you’ll get it. 1.Close to the Edge and Tales from Topographical Oceans were both Tied for #1. The Band YES is the band that you answer with when someone says: “What is Prog Rock”? Let me stress one exception. One major caveat. Yes ceased to be a prog rock band in 1982. With the band in shambles, Drummer Alan White and Bassist Chris Squire found the greatest guitarist on God’s green earth, Trevor Rabin and formed what would have been an 80s band called Cinema. Atlantic records along with Trevor Horn brought Jon Anderson and former Yes Keyboardist Tony Kay back into the new manifestation of YES and they released what would have been a Trevor Rabin’s Solo album and with the release of 90125, YES was reincarnated. 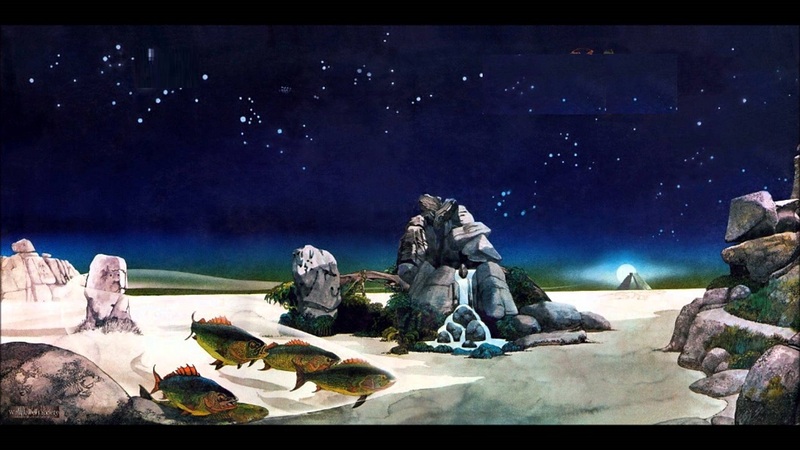 The caused major consternation between the true prog fans of YES while new teen aged rock fans were cutting their teeth on the new YES and a hit single called “Owner of a lonely heart”.